The Oni of Japan are often considered similar to the European idea of "Demons" because they are said to punish bad people in the afterlife... but Oni are also said to wander Japan itself, causing trouble. They are often huge, and far stronger than they look (which is pretty strong looking!!! 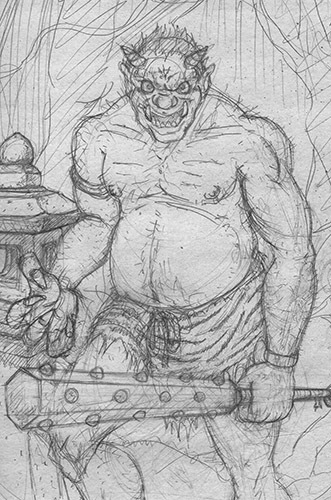 ), and often react in anger at even the smallest annoyance... yet, despite a general reputation for being fantastically dangerous, some Oni have co-existed peacefully with humans; and some Oni even have important jobs they have been trusted with.